Helping you buy & sell wooded property on or near the Tippecanoe River and Lake Freeman is one of our specialties. Whether you are interested in deer hunting, turkey hunting or fishing and recreation, we list real estate for sale and can help you find land that is available for private sale. From unique hunting properties, to weekend retreats and country getaways, we help people like you make the dream a reality. Whether you want to buy land or need a reputable land real estate broker to help you sell your property, we are the trusted team Since 1977. As land specialists, we work exclusively with landowners that have unique properties that include streams, creeks, river frontage, fishing ponds and more. 24+- Acre Wooded Property that Produces Income! 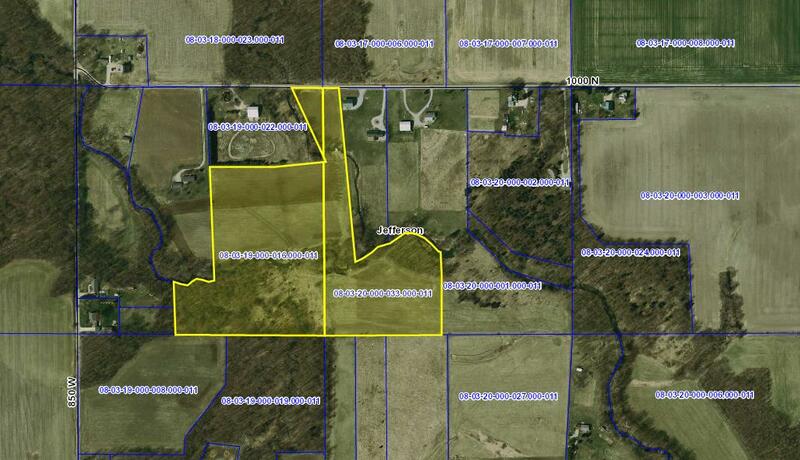 Rare opportunity to buy wooded land near the Tippecanoe River and Lake Freeman in Monticello, Indiana that includes a creek, woods and tillable acres. Located in Carroll County, Indiana this wooded land is 5 miles from the Tippecanoe River and Lake Freeman and an ideal hunting property with fishing & recreational opportunities – potential for a home site or build a cabin too!